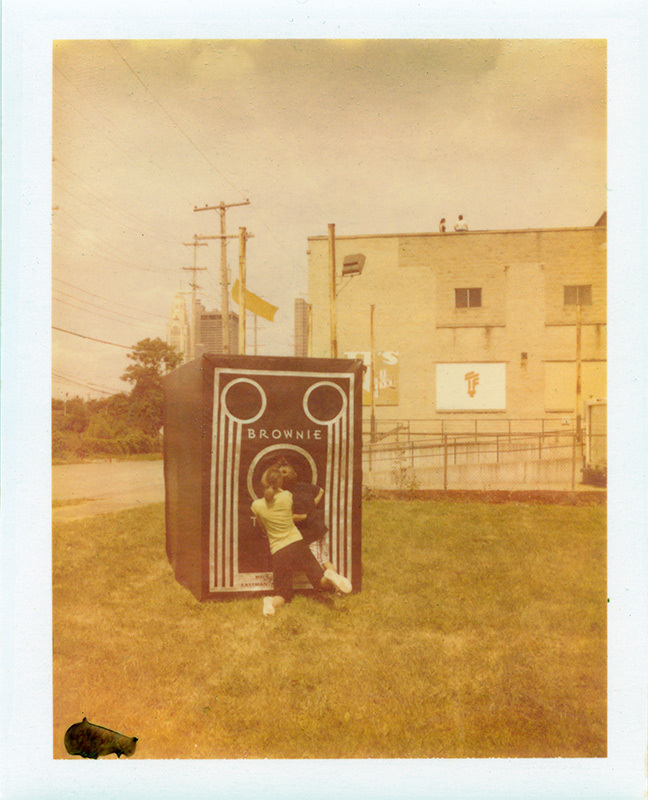 Camera obscura coming to the Columbus Arts Festival this weekend! 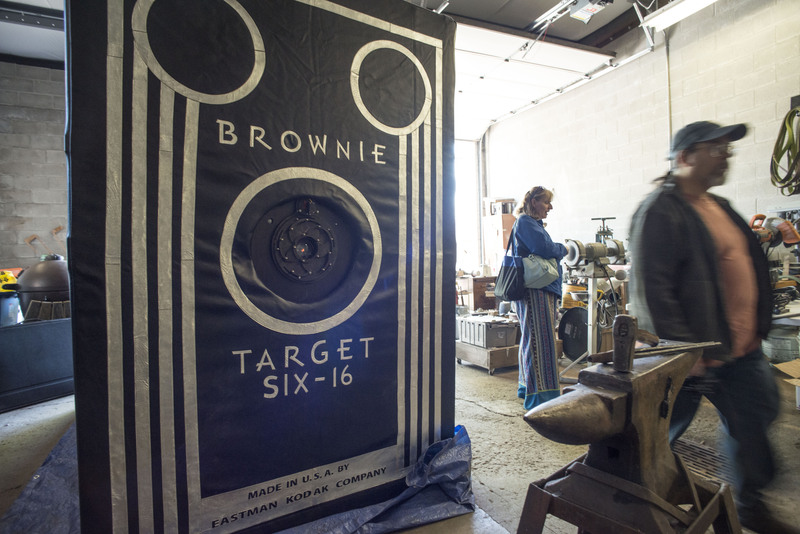 If you’re tired of just seeing images of Brownie In Motion online and want to experience it in person, please come to the Columbus Arts Festival this weekend! I’ll be sharing the camera obscura with visitors from 11am – 9pm on Friday & Saturday and 11am – 5pm on Sunday. If you’re in the neighborhood, I’d like to encourage you to come across the river to 400 West Rich for artist open studios starting on Friday from 7pm – 11pm and Saturday from 11am – 6pm. 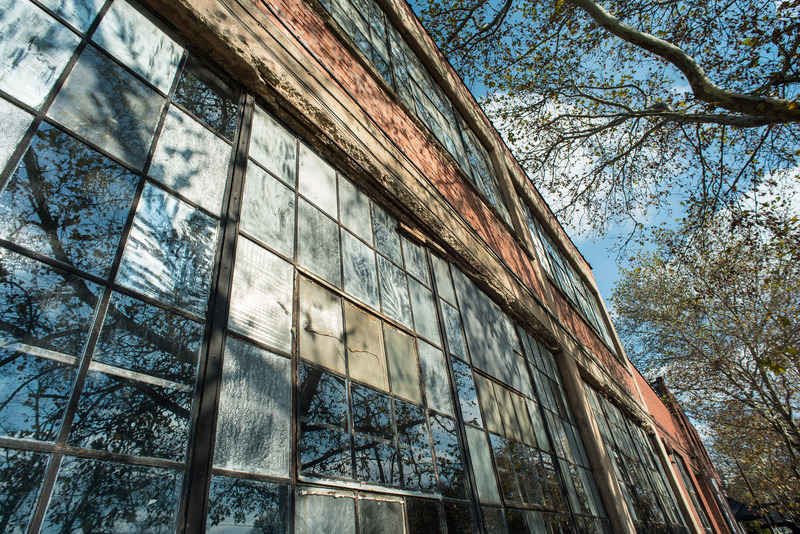 Although, I won’t be able to be able to participate in open studios this year (since I’ll be at the arts festival) I do want to encourage everyone to check out the work of some of my friends and explore the building where I spend so much of my time creating! FYI – If you’re feeling really adventurous, the World Naked Bike Ride will be happening on Saturday evening starting from 400 West Rich around 9:30pm. Final Hours of the Brownie In Motion Campaign on Indiegogo! Hello Readers! I wanted to let you know that we are now approaching the final hours of our fundraising effort for the Brownie In Motion project on Indiegogo. Please consider donating to the campaign at: https://www.indiegogo.com/projects/brownie-in-motion/contributions/new before midnight tonight! There are lots of great rewards available for backers, including limited edition prints, postcards, and even the chance to have the camera obscura travel to your town for a visit! 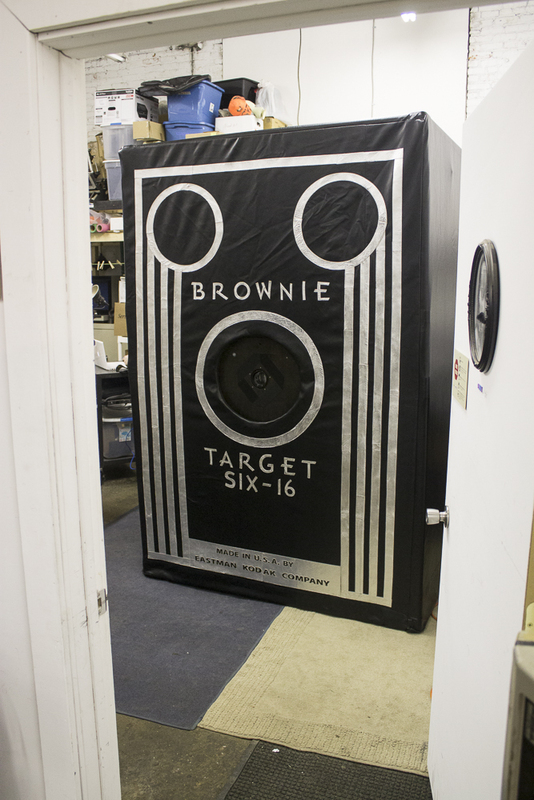 Help us document disappearing trades across America with the world’s largest Brownie camera! If you’d like to hear what Japan Camera Hunter has to say about the project, click this link! Chris Gatten wrote an awesome article on Brownie In Motion in this month’s 614 Magazine, which is illustrated with photos by the talented Chris Casella! I’d like to thank the whole 614 team, including editor-in-chief, Travis Hoewischer, for including me in their magazine! If you haven’t pick up a copy yet, do it soon before they disappear from the newsstands! I’m proud to say that the band featured on the cover of this month’s issue are my long time friends Damn the Witch Siren! They just release a new EP earlier this month called Super Delicious. This rump shaking record, which channels both Madonna and early Nine Inch Nails, is like a bowl of coco-puffs – processed, crunchy and oh-so-sweet! I want to remind you that there are only 5-days left to support Brownie In Motion on indiegogo, please donate today and help us make it happen! I just want to send a quick thank you out to Lisa D. Iacobellis for her donation to Brownie In Motion! Lisa is an extremely knowledgeable enthusiast of photographic history. As Assistant Curator for Rare Books and Manuscripts at OSU, she has been kind enough to share some wonderful examples of 19th century photography with my photography classes over the past few years! Thanks you so much for all that you do! Camera obscura featured on Good Day Columbus! On Sunday, I was interviewed by Alissa Henry from Good Day Columbus about my camera obscura project, Target Six-16, which was being displayed at Nationwide Starry Night in Westerville. It was pretty early in the morning and my first time on TV so I was a bit nervous, do I look it?! Skip to minute 6:50 on the timeline and let me know what you think! Alex Bandar from the Columbus Idea Foundry was interviewed as well. Skip to 5:10 to hear Alex discuss 3D printers. 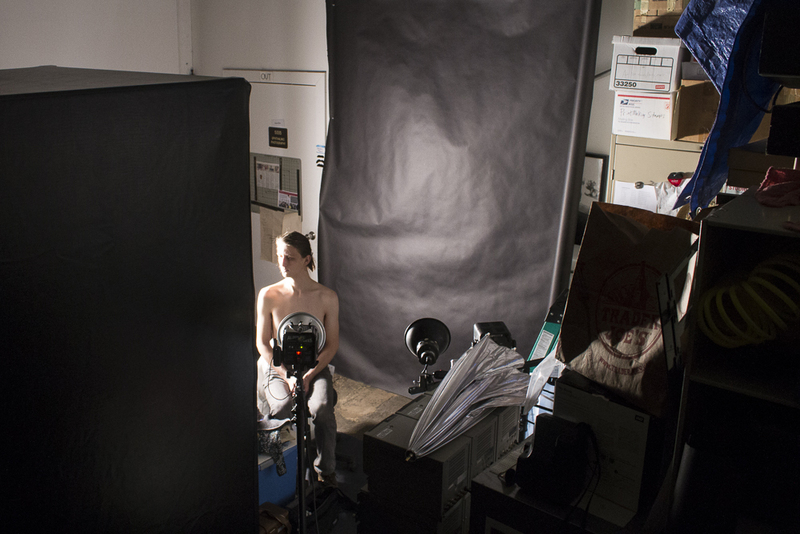 behind the scenes of a recent camera obscura photoshoot…. 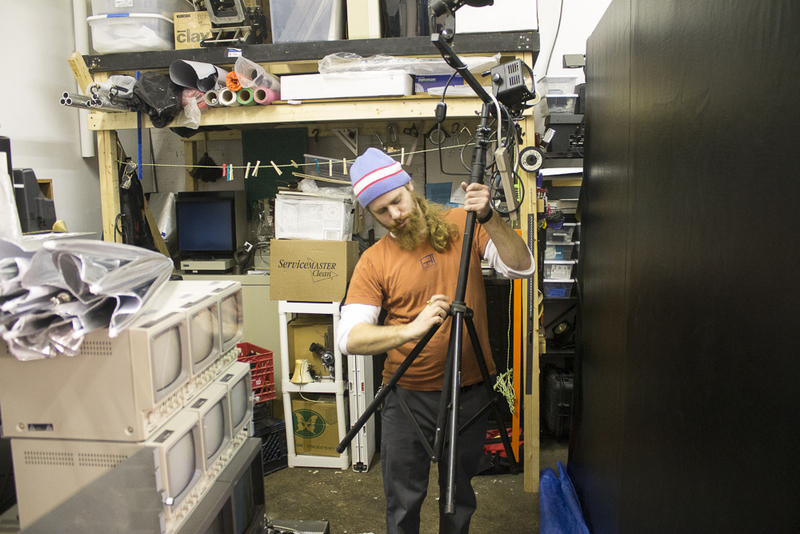 Here are some process photos from a recent shoot taken by my assistant, Forrest Roberts….. Camera obscura installed in a small room. Photo by Forrest Roberts. Evan modeling for the camera obscura at Stephen Takacs Photography located at 400 West Rich Street in Columbus, Ohio. Photo by Forrest Roberts. Convergence: Paige and Evan. Photograph by Stephen Takacs, 2014. The projection studies are a visual convergence of two individuals that together make up a couple. These photographs were created by using the lens of the camera obscura to project the image of one person onto the body of the other. The final portraits are shot using a digital camera without the use of Photoshop and explore the ability of the photographic medium to render fantastical moments that are simultaneously fact and fiction. 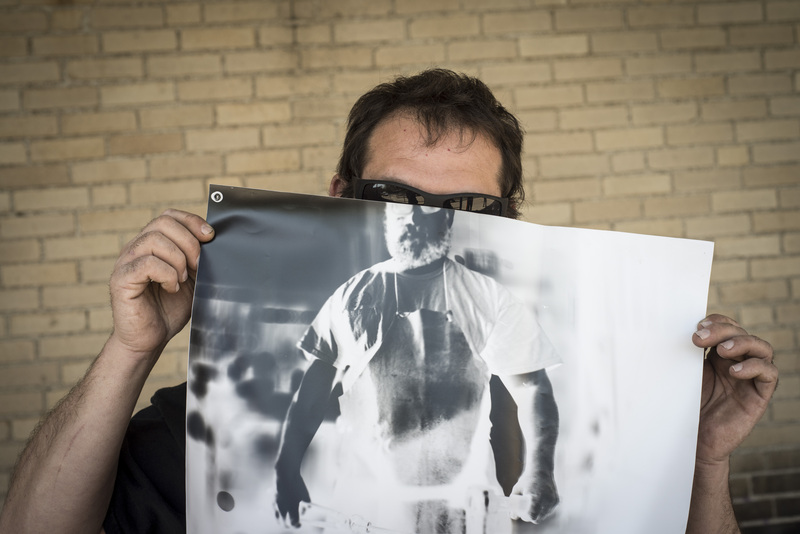 Dave and his beautiful beard are flanked by two large photographs taken with Target Six-16 @400 West Rich Studio in Columbus Ohio. 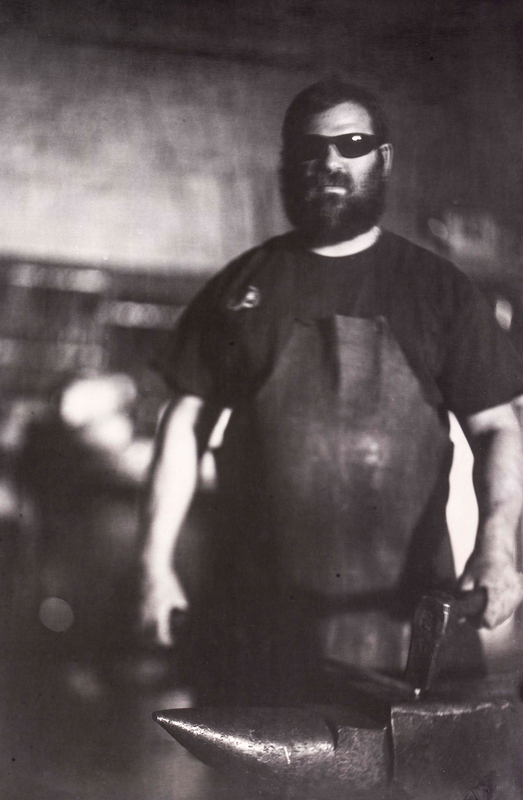 This Saturday December 1st I’ll be shooting tintypes at the 400 West Rich Farmers Market for a mere $40 a plate. These one of a kind images make great gifts and keepsakes. Come on by from 11 – 2 or contact me to schedule a private session another day!